Brighten your spirit! 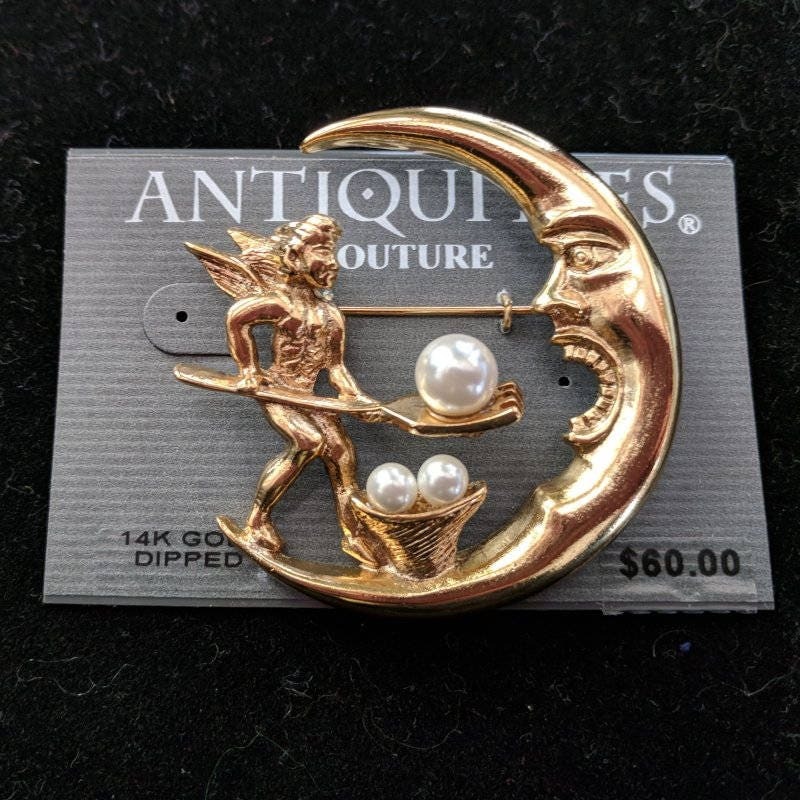 A Moon and Cherub Brooch from the Antiquities Couture Collection. 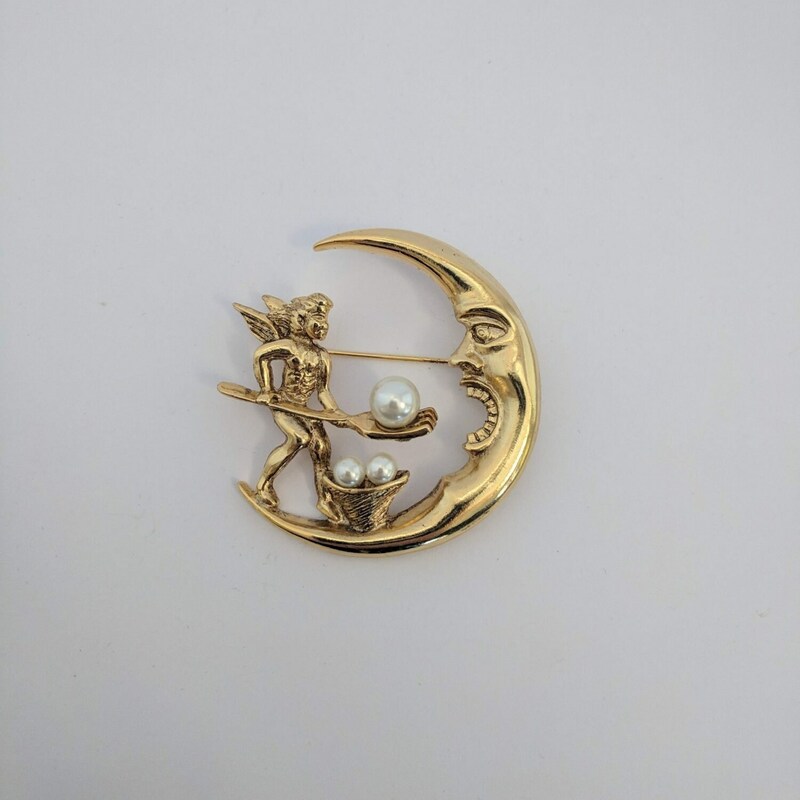 The museum quality gold setting is made of nickel-free 14k gold electroplate and embellished with simulated pearls. 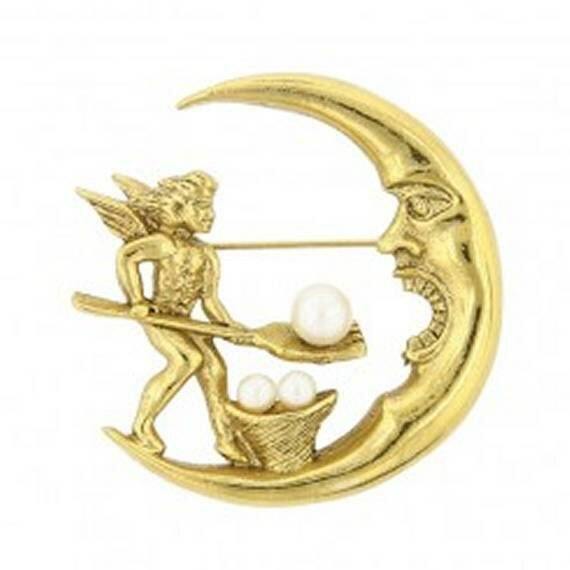 A hardworking cherub is feeding the soul, symbolizes by the crescent moon, with a shovel holding a 8mm pearl to brighten its spiritual essence. Two 4mm pearls are in a bucket at his feet. Truly stunning! 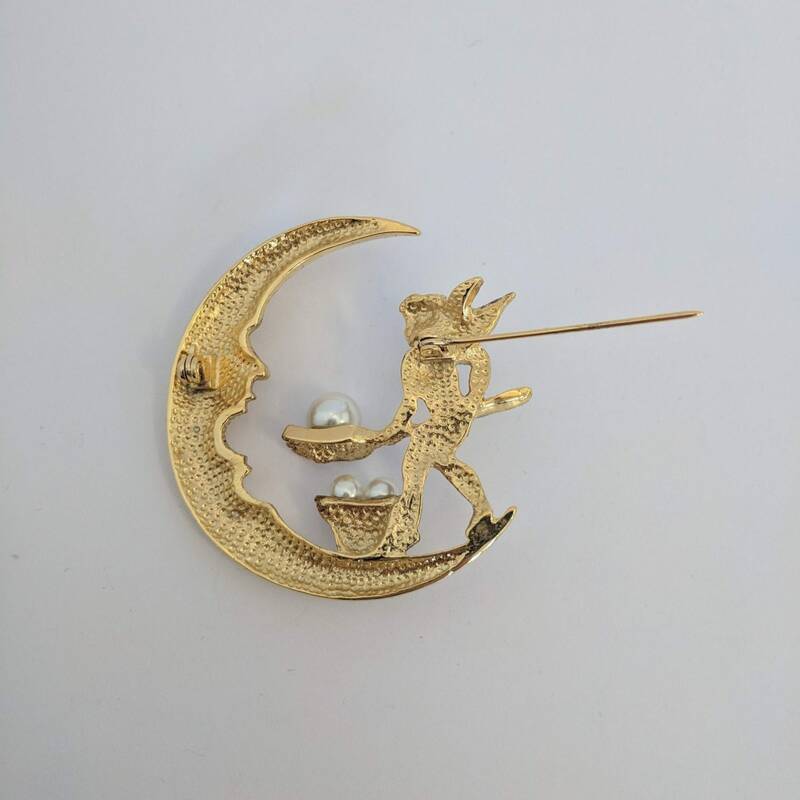 This large brooch is approx. 2" wide and 2 1/8" high! 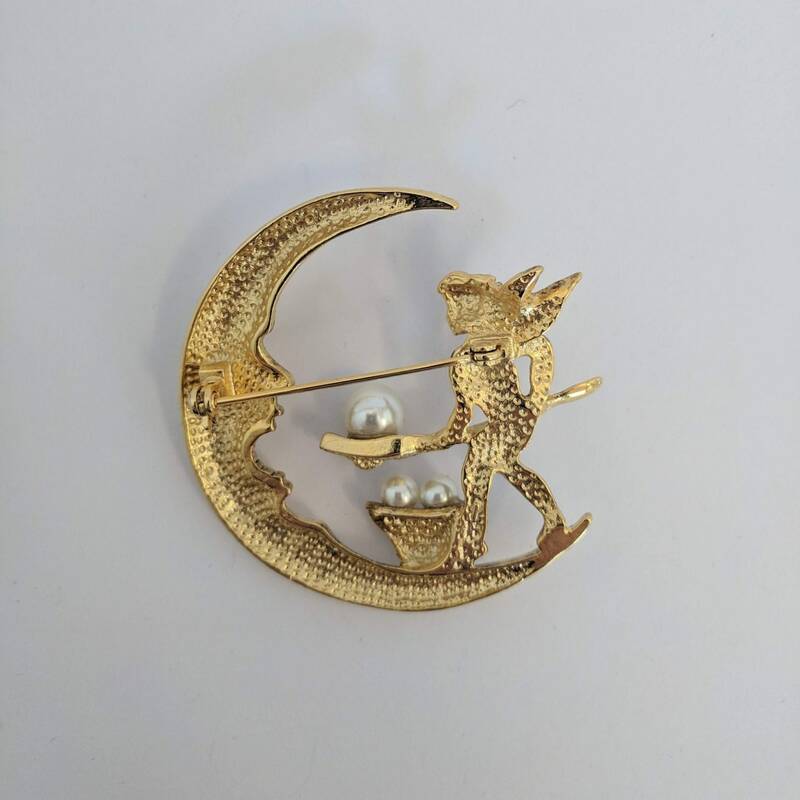 Stock Photo - Actual pin is on the original card which is also pictured. Look for other 1928 Antiquities Couture Collection pieces in our Vintage Jewelry section.